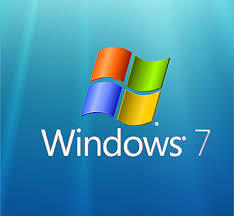 Upon its release on July 22, 2009, Windows 7 proved to be one of the most popular Operation Systems that Microsoft has ever produced. Today, it remains, at 47.7% of the market, the most used OS in the world. That is despite the fact that newer versions, Windows 8 and Windows 10, have since been released. This popularity is largely due to its stability and ease of use. Internet connectivity is one of the reasons why computers have become so indispensable in today’s world. For many of us, it can be hard to imagine ourselves going for a day without going online. In fact, a large chunk of the world’s communication and commerce are now taking place over the internet. Drivers play a central role in computing, by allowing the hardware that forms your PC to communicate with the Operation System (OS). Examples of these hardware devices are keyboards, mice, wireless adapter devices and many more. All these devices come with drivers that allow them to “talk” to the OS. Without them, your computer would hardly be able to do anything. You would, as an example, not be able to print using your printer, listen to music using your sound card and connect to the internet using wireless routers. It is important, therefore, for you to keep all the drivers that are on your computer updated, to avoid potentially costly hardware problems. While it is possible to do this manually, we recommend that you scan, review and update all the drivers that are on your computer using SafeBytes DriverAssist. DriverAssist is a safe to use, light weight device drivers manager that works in the background to identify and update your PC’s drivers. SafeBytes is a Microsoft Certified Partner, which means that all of its tools are safe to use on your computer. The first thing that you need to do is open your computer’s Device Manager. You can do this by clicking on Start, Control Panel, System and Security, System, Device Manager. A simpler way is to click and hold the Windows key while pressing the “R” key . Type devmgmt.msc and Device Manager will open. To update your wireless driver, you then need to click on Network Adapters to expand the option. Right click on the wireless adapter and, finally, choose the option Update Driver Software.